It’s not just its design that resembles a jet turbine, but also its ventilation power. 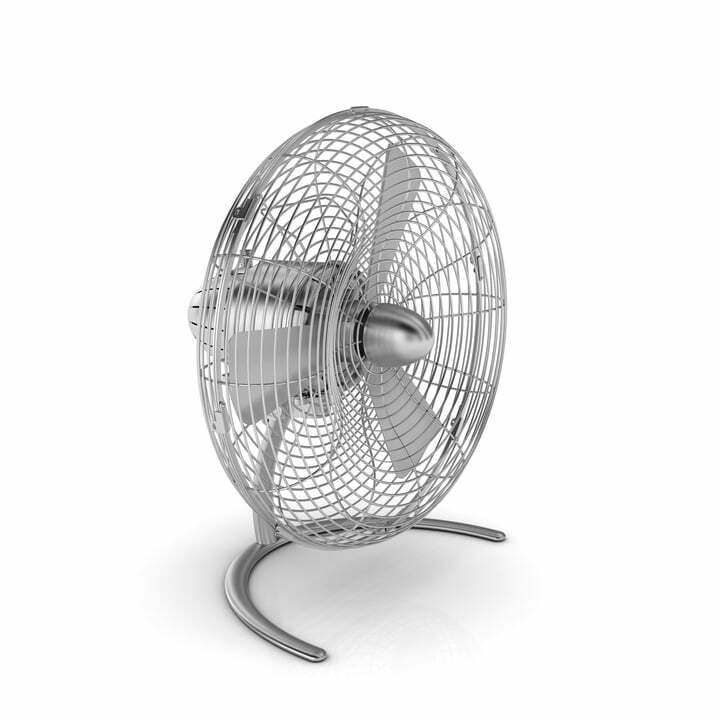 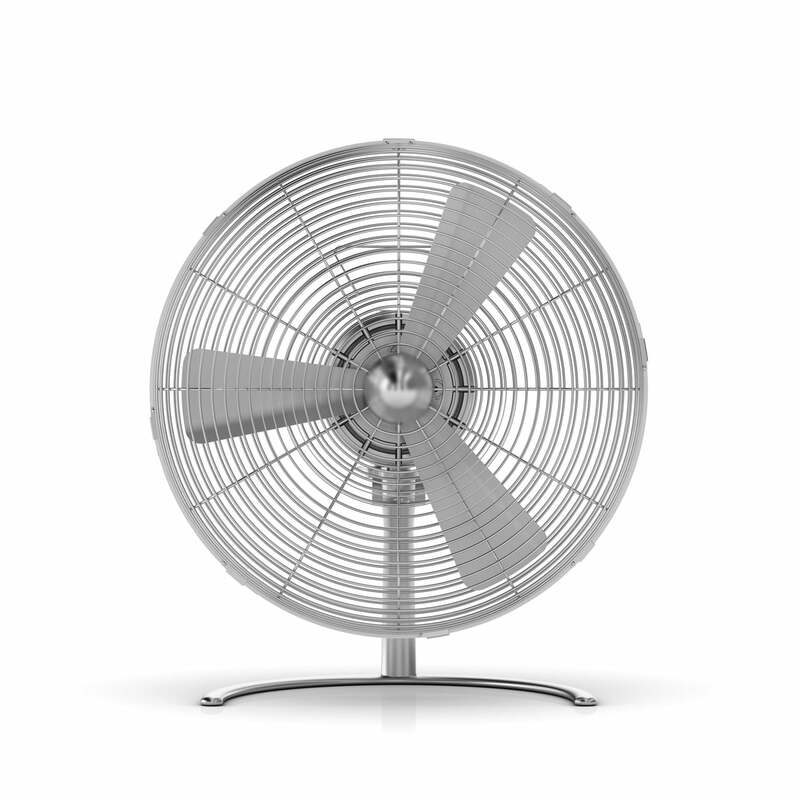 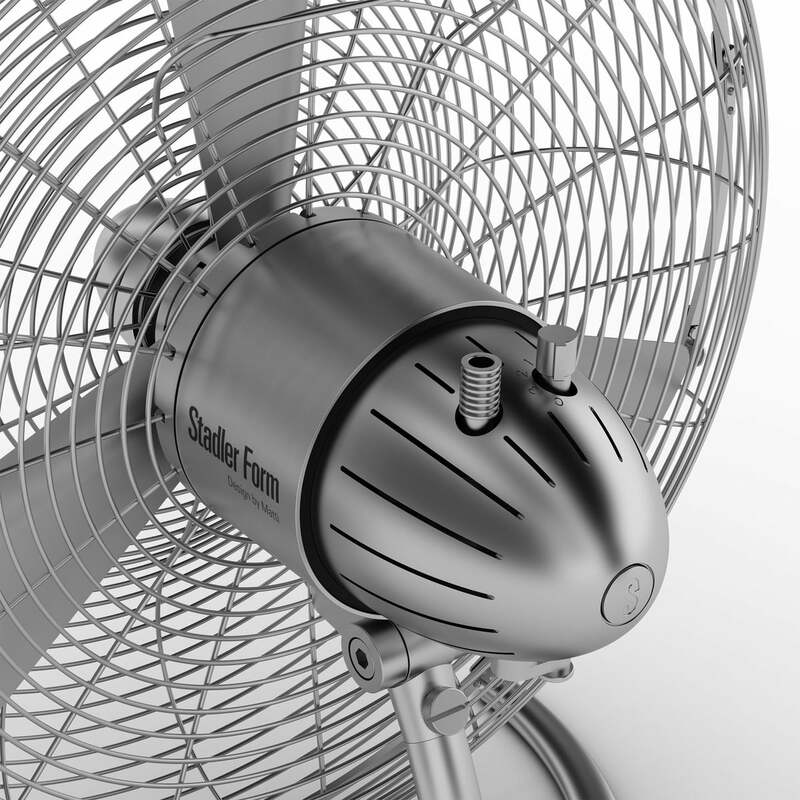 Its three aluminium wings make the fan circulate up 3,000 m3 of air per hour noiselessly. 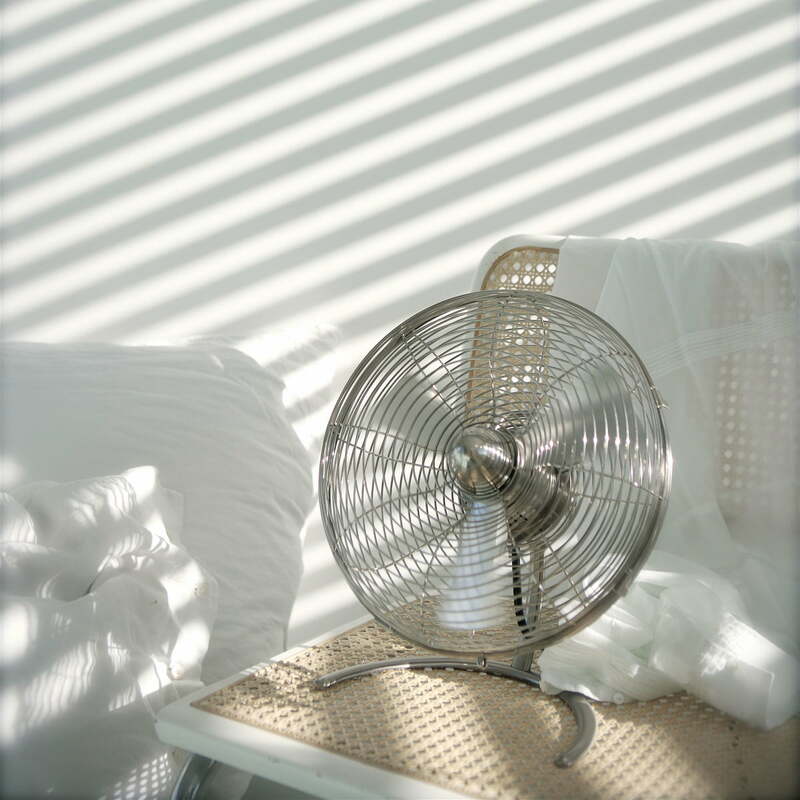 The air circulation rate can be set to one of three levels, and is adjustable in height. 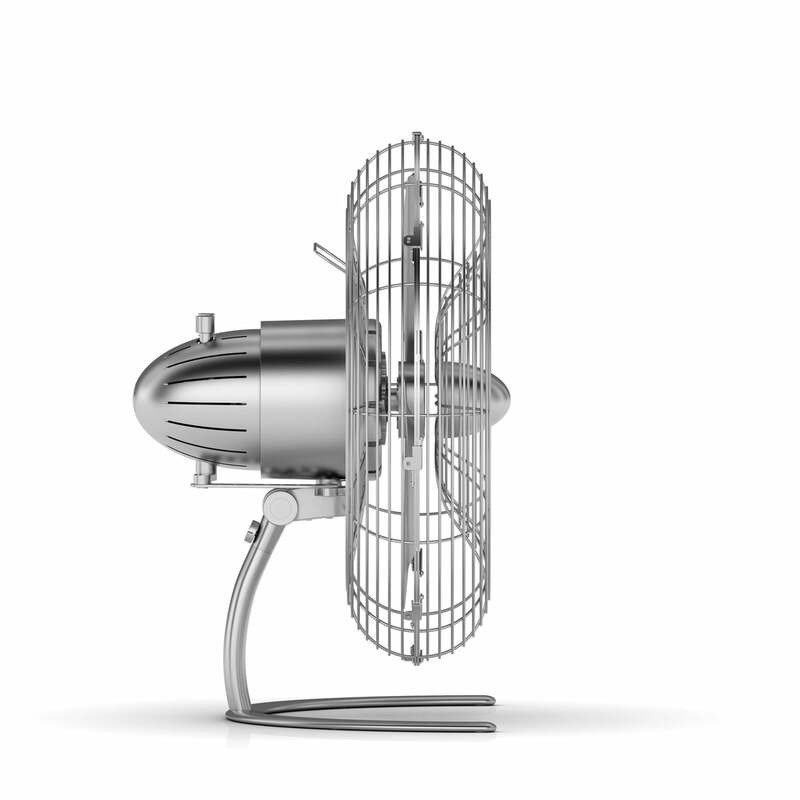 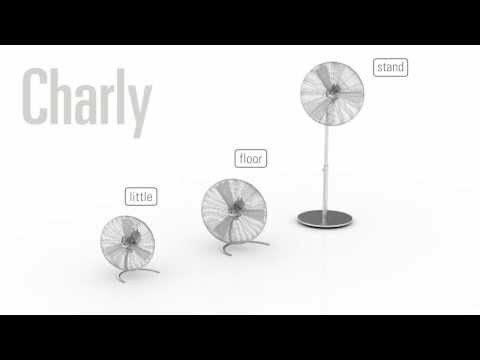 zinc, aluminium and stainless steel.Unlike the old variants, Charly can now operate in a swing mode.The oscillation distributes the cooling airflow even better.